ED Noor: Once again, Iran proves itself to be a nation for its people. This action against their criminally inclined bankers is SURE to result in even more rabid screams for its annihilation. Just IMAGINE this happening in America! Not much chance alas…. Last month, Iran did something that Obama and his neutered puppy Attorney General Eric Holder should be doing. “The president of Bank Melli branch in Kish was slapped with life imprisonment and former deputy minister Khodamorad Ahmadi was sentenced to 10 years in prison,” Mohseni-Ejei, who is also Iran's attorney general, added. The defendants stood trial for misappropriating a total of USD2.6 billion of funds by using forged documents to obtain credit from banks to purchase state-owned companies. 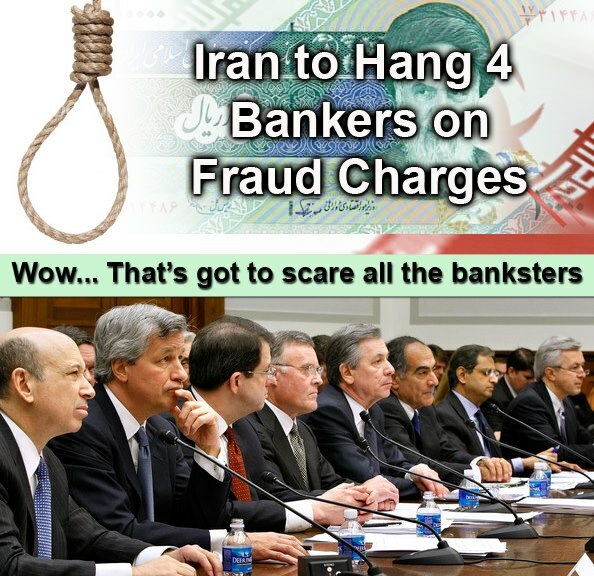 "Iran Judiciary has handed down death sentence to four people convicted of involvement in the biggest embezzlement case in the country's banking history. 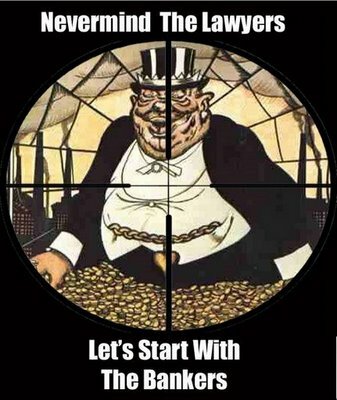 Perhaps some politicians will have the balls to propose legislation that specifies the death penalty for bankers who engage in frauds affecting more than ten people, or two, or 100, but some limit on the number of people's lives hurt or ruined. There's no way such a bill will pass ~ there are far too many corporatists ~ a huge majority ~ in congress. But perhaps such a bill would shame some of them and show the public how worthless they are.